You know I love this furry boy of mine, but Milton and I had a bad episode of tough love at the dog park on Monday night. That evening I was attempting to quell Milt's energy before bed, so we arrived to the park late at about 8:00P.M. As usual, the dood had a magnificent time swimming after balls, chasing his doggie pals, and most importantly, soaking up water to cool down. 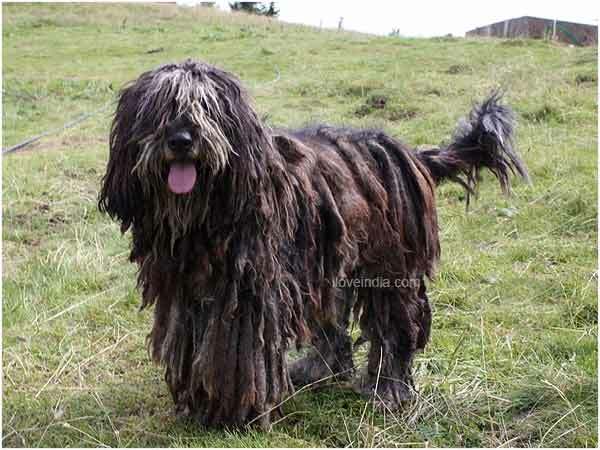 This dog actually dreadlocks, and it is considered a good thing. The three boys were amicably playing with each other (or so I thought!) while I chatted with their owner. Then, all of a sudden, a dispute broke out over a silly washed up piece of driftwood. As far as I could tell, Milton had retrieved this wood, and he was happily standing guard over it while he gnawed away. The golden tried to grab Milt's prize, but he was met, to my surprise, by deep dark growls from Milton. Next thing I knew, a full out brawl had erupted, and who was the dog to start it? My gentle giant -- Milton. The two dogs snarled and snapped at each other in a fury of tumbling limbs and whirling fur. They stood on their hind legs, spit flying, as they bit and snatched at each other. I, a bumbling idiot, stood helpless on the sidelines repeatedly shouting, "Milton! Milton! Milton!" Finally, after two minutes of intense heavy sparring, the other owner dove his body into the middle of the fray to yank each dog's collar and completely separate them. After checking for signs of damage to either dog, or the fearless owner, while profusely apologizing, I hauled my wicked boy to the car and drove him home. To put it simply, I was incredibly angry and mortified. I was angry that Milton, who is unfailingly kind and gentle, started such a terrible scuffle that could have deeply wounded both dogs and us owners. I was mortified because I felt that I could not control my dog. As I watched Milton, the instigator, in tooth to fur combat, I desperately wanted to intervene, but I simply did not know how without injuring myself. I thought that if I tried to break up the fight by grabbing Milton, as much as he loves me, he might turn on me too in the heat of the moment. I was and am incredibly grateful that the other owner risked his safety to intervene, but I do not think it was fair of me to simply be "rescued" when it was my dog who started all the trouble to begin with. Needless to say, Milton received a stern talking to and stone-cold attention from me that evening and the next morning. To overcome my own shortcoming, I researched online what others advise to do when caught in the midst of a dog fight, which appears to be a common dilemma. 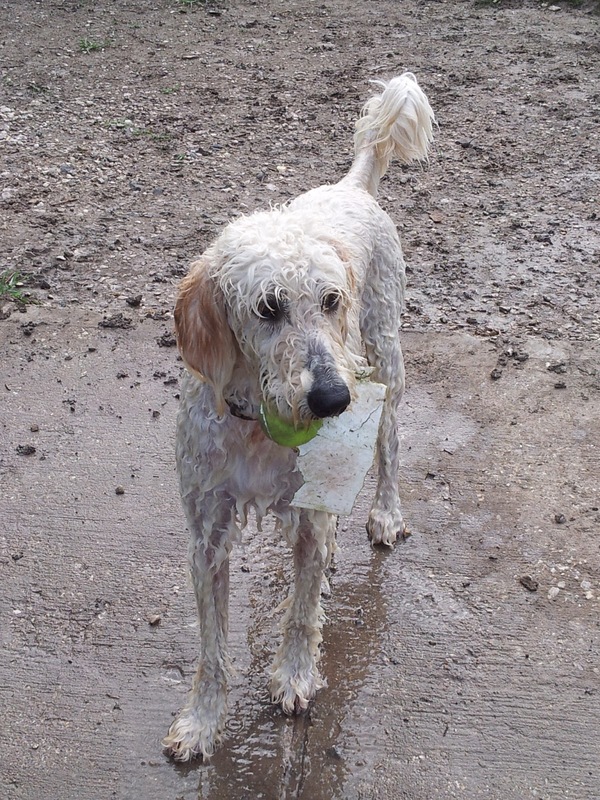 Of course there is the common answer of throw water on the dogs, but that is not always practical. Another website said to try and distract the dogs by calling out a common phrase like, "Do you want a treat?" which, to me, would seem to have little effect. One solution I like is if two people are present, grab the hind legs of each dog, and pull backwards, which creates a wheelbarrow effect and throws them off balance. The worst solution appears to be what that man did -- jump in the middle of it all. Scuffles between dogs are bound to happen over asserting dominance, guarding a possession, or protecting something or someone. Milton could have felt threatened by this two-pact of dogs, or he could have just been acting selfish. Who knows? I've been known to pick a fight or two just like him. I am, however, a deep believer that everything happens for a reason and this little incident reminded me that my baby boy is actually a puppy dog complete with sharp teeth and animal instincts. I need to do better at reinforcing to Milton that I am leader of the pack, and he needs to always obey me. This means that when we are out walking and Milton wants to lie down and roll over, I need to show him who is boss. Likewise, when he yanks me clear off the sidewalk in pursuit of a squirrel, I need to demonstrate that I am leading the show. When he refuses to give up his tennis ball during a game of fetch, I need to not give in to his antics. As you have probably already guessed, Milton has since been forgiven and is no longer deemed a "vicious" dog by me. Sometimes tough love can be hard, but it certainly comes from the heart. Our goldendoodle needs to learn a few hard lessons in order to keep both him and us safe and sound. I have experienced the same thing as you and did the same thing you did....nothing. I had NO idea what to do or how to do it. As I'm afraid of jumping in as your hero of yesterday did I now carry with me, at all times my dog is socializing, a mini airhorn. You can pick one up at your nearest dollar store to scare the begeezus out of dogs that are arguing. CHARM! So glad no serious injuries came from the fight - how SCARY for you!!!! This is a fantastic idea, Goob! I plan to pick one up today before we hit the park. Thank you!